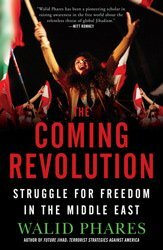 World Council for the Cedars Revolution - Coming Iran, DPRK Space Launches? Home News Content Blog Blog Items Intelligence Coming Iran, DPRK Space Launches? According to IRNA, Hossein Dehghan (حسین دهقان, the guy on Rouhani’s left) told the Majlis (fa|en) that Iran would launch a Simorgh rocket (the thingy on Rouhani’s right) during the festivities to mark Iran’s revolution, which should run from 1-11 February. While North Korea has not made an announcement, vehicle traffic at North Korea’s Sohae launch site has raised the prospect of a North Korean launch, possibly in advance of the late Kim Jong Il’s birthday on 16 February. In other words, Iran and North Korea could launch rockets within a week or so of one another during mid-February. Happy Valentine’s Day! I thought I would make a few remarks about setting expectations. The Simorgh isn’t an ICBM, but it is close enough that a launch will get a lot of attention. David Wright was quoted as saying the Simorgh could deliver a 1-ton payload to about 4,000 km. Michael Elleman has argued that “Reaction to a Simorgh satellite launch should be measured and consistent with the long-term threat it poses.” One can dream. What North Korea might launch, on the other hand, is interesting. Over the past year, North Korea has modified the Sohae launch site to make it much harder to monitor — covering railheads and building a moveable launch gantry. The Unha-3, launched in 2012, was a bit larger larger than the Unha-2, launched in 2009. David Wright has a nice description of the differences, but you can see them in the models shown to Kim Jong Un. North Korea might launch another Unha-3 or a similarly sized rocket, but there is a more interesting possibility. North Korea has increased the height of the original gantry at Sohae and displayed models of something much larger called the Unha-9 in strange places like flower exhibitions and Moranbong Band concerts. 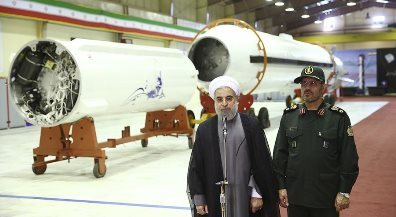 For a few weeks, my colleagues at MIIS and I have been trying to figure out what this 80-ton booster might be — and what it means for Iran-DPRK missile cooperation. Maybe it is the first stage of the proposed Unha-9 or something that draws on the Simorgh. But now we’ve stopped. At least for the moment. After all, we’re probably about to get a lot of new data.